In contrast, the partridge wellington (£17.50) proved to a huge disappointment. Where the chateaubriand was a 5/5, the partridge barely scored a 2.5/5 from me. 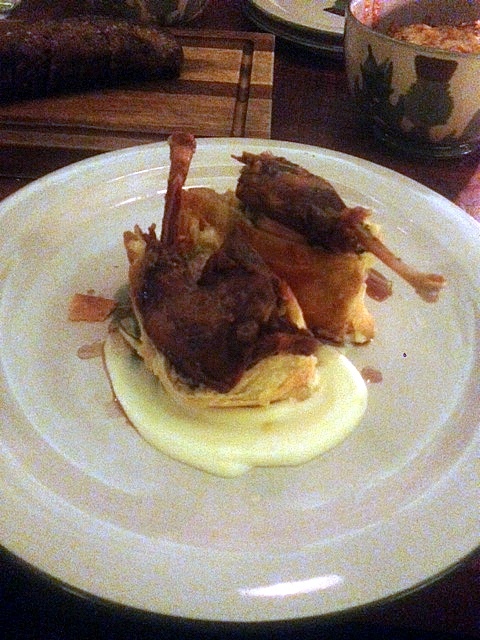 Two pieces of partridge breast wrapped in pastry was bland, and the limpness of the pastry didn’t help matters much. Worst yet, each piece was topped with a partridge drumstick which was hard as a rock and as dry as a bone. In short, the drumstick was inedible. The restaurant took 20% off the price of this dish from our bill. But it was such a disappointment that I felt that they shouldn’t have charged us at all. The sides were good and satisfying, but not amazing. The chips (£3) were homely and rustic (although I prefer crunchier chips). As for the mac and cheese, this was creamy if a little runny, and the pasta a little too soft. We finished the meat with a dessert of sticky toffee pudding (£6) which was really delightful. The pudding was delicious and expertly made. Some sticky puddings can be a little dense in texture, whereas here, the pudding resembled a fluffy light cloud. The toffee sauce was also fabulous – decadent, rich and with no tinge of bitterness in it. Very well done indeed. 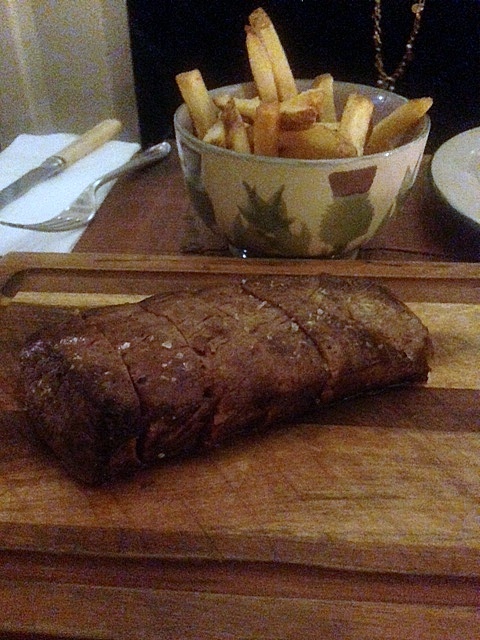 Without a doubt, the venison chateaubriand was a knockout. As for the partridge, I’d like to believe that this was a one off mistake which they have since fixed. So despite the disappointment of the partridge dish, I would go back to Mac and Wild again just to have a taste of that venison. Oh, and a taste of that sticky toffee too. We liked the service as it was pleasant and efficient. 1) The venison chateaubriand was sublime. 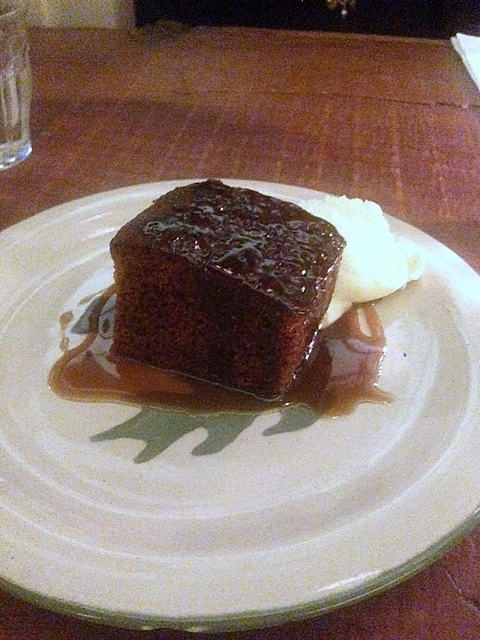 2) The sticky toffee pudding was fabulous. 1) The partridge wellington was a disaster. Prices: About £30 t0 £50 a head.